Crown of Roses formed in the early nineties and released their debut album First Water in 1994. The album was an EP on a self-produced label. The Crown of Roses founding members, William David Jampo, and James Anthony Jampo, identical twin brothers, write, produce, record, publish, and perform their own original music. The band is from the east coast of PA, USA, and is an alternative/inspirational soft-rock band. Crown of Roses makes a real connection through their music by bringing others to a feeling of His higher ways. Released in 2000, Second Taste has been one of the band’s top albums. This double CD contains 24 tracks, recorded at four different studios. At Rose Studios, Sellersville, PA, USA, a high quality recording was done on a simple tascam, the invention of the late Les Paul Gibson. The recording was of the much acclaimed single, “Precious Blood.” The band has had several singles hitting international charts, “There Will Come a Day” was number 12 in Belgium, February 2005 on the Playlist Radio Eagle 107.9 FM report. The single “Precious Blood” has received great attention from the African internet radio stations, Nashville, TN producer’s and radio stations, and the Independent Artist Company (IAC). The “Precious Blood” single has definitely touched so many people. Also from Second Taste (double CD) album, the single, “In Every Moment,” AKA “Holy Wounds,” was released with Canadian American Records. In Australia, it hit number 4 on ISON Radio International Network Playlist report, and it remained on the Australian charts for the entire year of 2006. Performing live has been something Crown of Roses has always enjoyed, and has mostly toured the East Coast, USA. Fans throughout the years have expressed such good feelings after hearing COR perform. Like all musical artists, recording your own material is an accomplishment, but then performing those songs live takes on a whole new meaning. Their recent 2005-2008 café/coffeehouse tour was in central and southern New York, Northeastern Pennsylvania, and the endless Mountains of Pennsylvania, and parts of New Jersey. The tour was very intimate and personal with their loyal fans and tour dates were standing room only. During the tour, the band really enjoyed the acoustic unplugged venues, as well as the much bigger café concert shows. 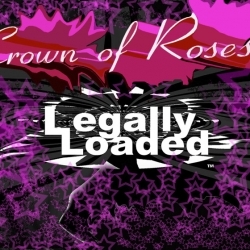 This tour was in support and promotion of their 2010 Crown of Roses, Third Sign album. This newest Crown of Roses alternative/inspirational rock project is just that and more. The album is the band’s sixth studio album release that has 16 tracks that take you on a spiritual journey, with an eclectic mix of songs; melodies that will inspire and lift you up. The band looks forward to taking their music to an even greater level of appreciation in the future. Crown of Roses never really did fit the Christian contemporary mold. They stepped out, relating with the common everyday listener without selling out, and yet taking another angle in spreading His word that crosses all boundaries. Presently, the band is recording new material in the Endless Mountains of PA, USA, at Golden Swan Records Studios, for their upcoming album, Volume 7, with producer, Michael Glines. Crown of Roses record label and publisher plans to release two singles from the new LP in 2013. The band is Zac Zelewicz – lead electric guitars, Philip Jampo – drums and percussion, William David Jampo – vocals, bass, zither, and piano, James Anthony Jampo – vocals, electric and acoustic guitars, and piano, and an additional Crown of Roses musician, Timothy Bennett – congos and additional percussion.